Karen Guggenheim is Founder and Chief Executive Officer of WOHASU® LLC, and Co-Founder of the World Happiness Summit®. Stepping into this role is an evolution of her extensive career arc, which includes editorial board work with The Miami Herald, strategic communications and integrated marketing expertise with C-Level executives as well as worldwide brands and a personal passion for making a happier world through helping create endeavors that teach happiness practices one person at a time. Under her leadership, WOHASU was awarded with the “Key of the City of Miami” by the Miami Mayor and the members of the Miami City Commission, and inaugurated the first World Happiness Summit in Miami in March 2017. Karen leads the efforts to unite the innovative gathering of government policy makers and leaders, forward-thinking economists, leading academics and entrepreneurs in an unprecedented format around the data-driven science of happiness. It is Karen’s goal to champion the WOHASU mission to invest in and support initiatives like the World Happiness Summit as well as make a happier world through such endeavors. She is also visiting professor in the Executive Master in Applied Positive Psychology at the University of Lisbon, and is a regular speaker at the Horasis Global Meeting in Portugal. She was also invited by the Colombian government to speak at the Optimism at Work Conference in Bogota, Colombia, and at Sustainable Brand’s New Metrics Conference in Philadelphia. Karen has been a guest in several leading happiness podcasts where she has shared her passion about the global happiness movement. 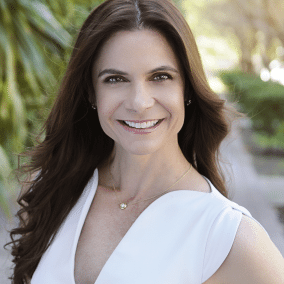 Karen holds a Master in Communication from the University of Miami and an MBA from Georgetown University.